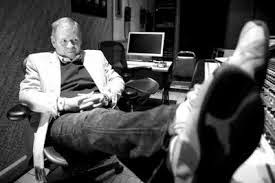 Ted Templeman (born October 24, 1944, in Santa Cruz, California) is an American record producer. He began his career in the mid 1960s in the Santa Cruz area as a drummer in a band called The Tikis. At the suggestion of Lenny Waronker, the group decided to change their name. Harpers Bizarre was born in 1966, with Templeman switching to guitar and vocals. In 1967 the group released the album, Feelin' Groovy (Warner Bros.), which included some material by Randy Newman that later appeared on the songwriter's 1972 album Sail Away. Harpers Bizarre disbanded in 1970. That same year, Templeman recorded what is now considered a cult classic. Using doubletracking, he appeared as "The Templeton Twins" backed by "Teddy Turner & his Bunsen Burners", recording contemporary hits of the time such as "Hey Jude" and "Light My Fire" in a pseudo-1920s style. 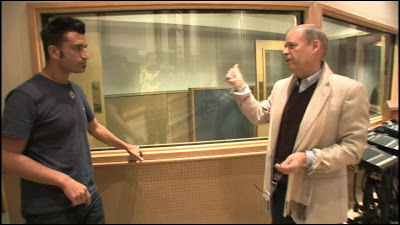 Much of his work has been done collaborating with recording engineer Donn Landee at Sunset Studios in Hollywood, California. In 1970 Templeman (at the suggestion of Waronker) began working as an Engineer for Warner Bros. Records. That year he produced the unheralded eponymous The Doobie Brothers debut album, followed the next year by the Doobies' Toulouse Street album which achieved platinum record status on the strength of the hit single "Listen to the Music". Templeman continued a long professional relationship with The Doobie Brothers, producing many more hit singles and albums for the group. In 1973 Templeman produced another classic and eponymous album, Montrose, which was released in November of that year. The group was founded by guitarist and group leader Ronnie Montrose (who had worked with singers such as Van Morrison and Edgar Winter), and an up and coming singer, Sammy Hagar, who brought songs like 'Bad Motor Scooter' and 'Make It Last' to the guitarist. In 1976 he produced Carly Simon's sixth studio album, Another Passenger, for which he arranged both the Doobie Brothers and Little Feat to serve as Simon's backing band. The album was not as commercially oriented as her previous work with producer Richard Perry, and its first single, a cover of the Doobies' "It Keeps You Runnin'", did not quite crack the Top 40. However, the album received critical praise and many of its songs received airplay on album-oriented FM radio stations. In 1977 Templeman saw a performance of a relatively unknown group, Van Halen. He convinced Mo Ostin, Warner Bros. Chairman, to sign the group to the label, and Templeman produced their eponymous first album. The group utilized Templeman's production talents through their first six albums and established themselves as one of the world's biggest-selling acts of the late 1970s and early 1980s. He is also the voice that pleads "Come on Dave, gimme a break!" in the song "Unchained", to which Dave (David Lee Roth) replies "One break, coming up!". Templeman also produced the first two solo projects of Van Halen singer David Lee Roth: Crazy from the Heat and Eat 'Em and Smile, the latter being the first album Roth recorded after he left Van Halen. 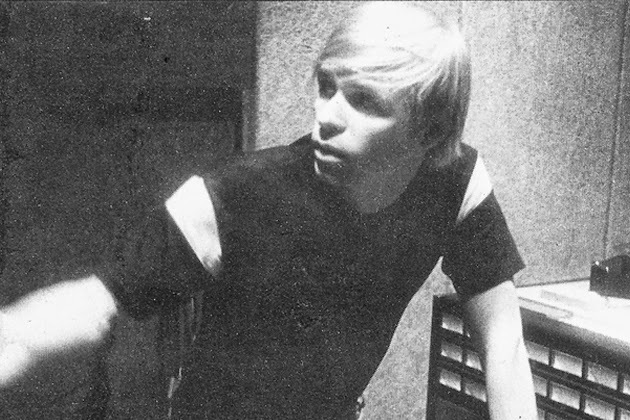 Other artists produced by Templeman include:- Van Morrison (Tupelo Honey, Saint Dominic's Preview, It's Too Late to Stop Now); Captain Beefheart (Clear Spot); Little Feat (Sailin' Shoes); Michael McDonald (If That's What It Takes); Aerosmith (Done with Mirrors); and Eric Clapton (Behind the Sun); Buddy Tyler. Since the late 1980s Templeman has worked more sporadically. Recently he has produced two albums by Joan Jett and the Blackhearts, and in 2008 he worked with the Doobie Brothers again on a new album. Instead of posting videos, here is a list of albums he worked on....go listen to them.